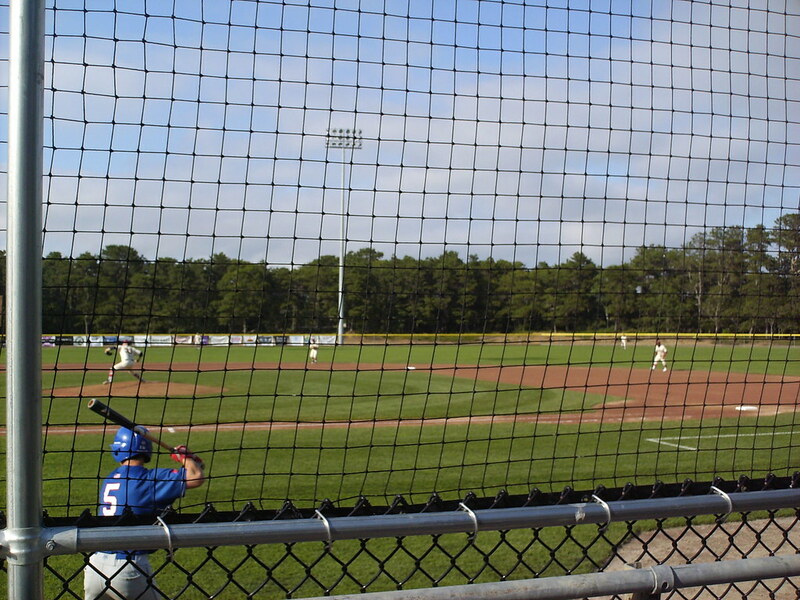 The view from behind home plate at Whitehouse Field. 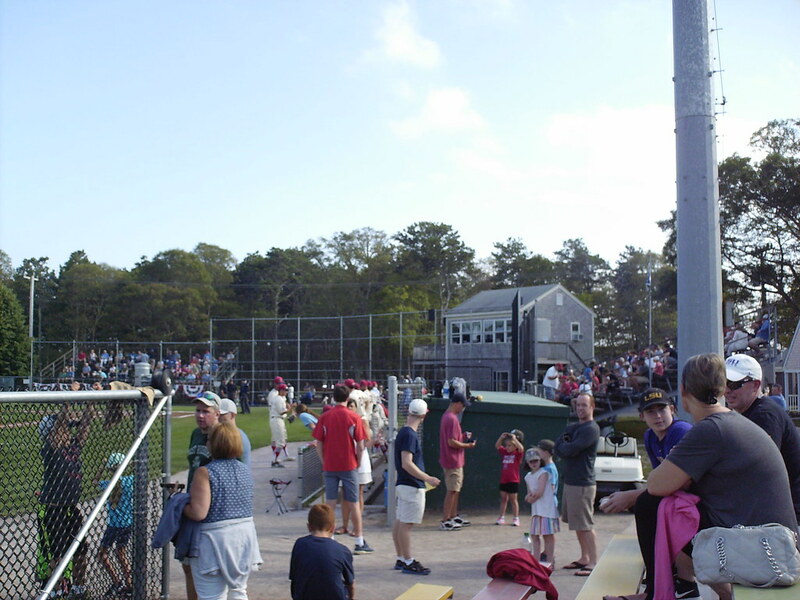 The stands at Whitehouse Field, as seen from the left field corner. 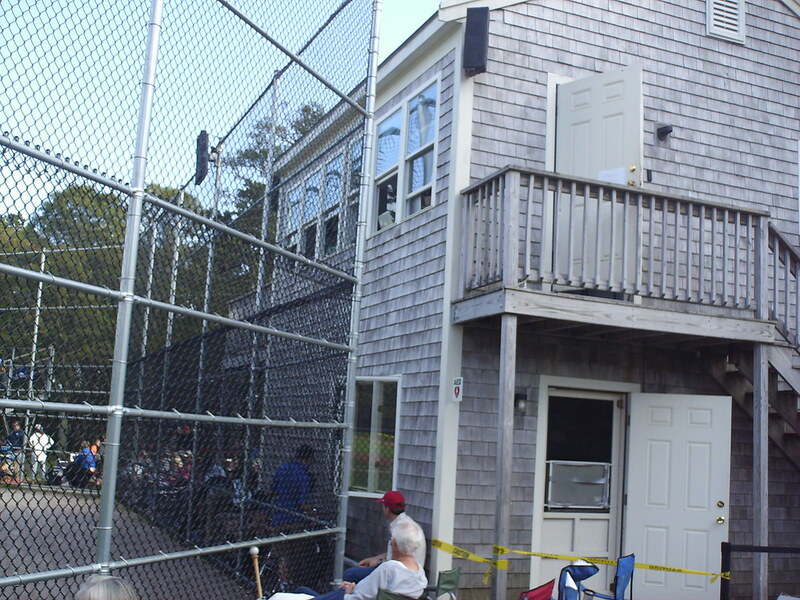 The pressbox sits behind home plate, with a single row of seating between it and the backstop. 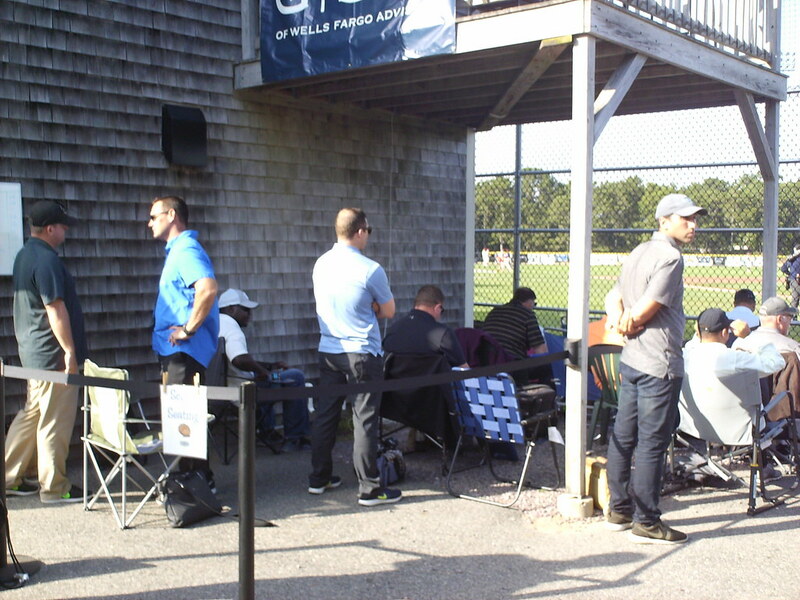 A roped off area under the pressbox porch is set aside for the many pro scouts who attend every Cape League game. 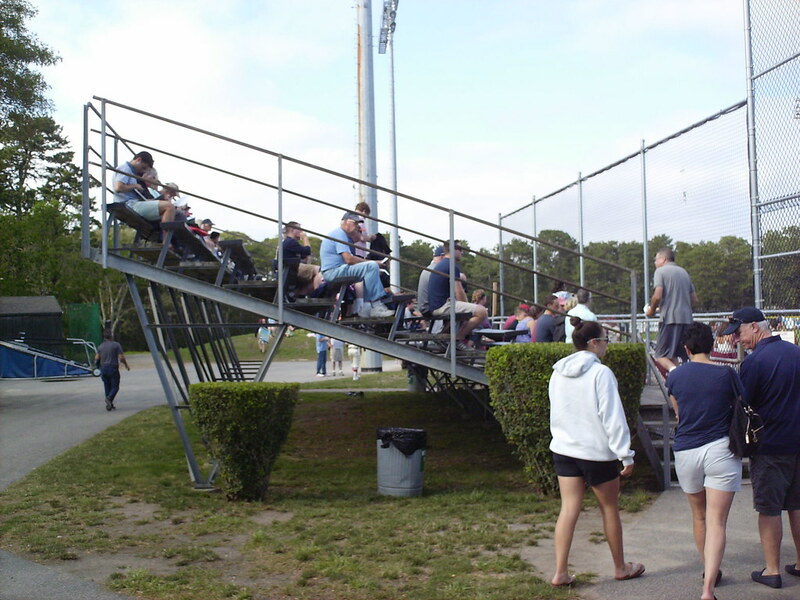 A large bleacher section sits along the third base side. 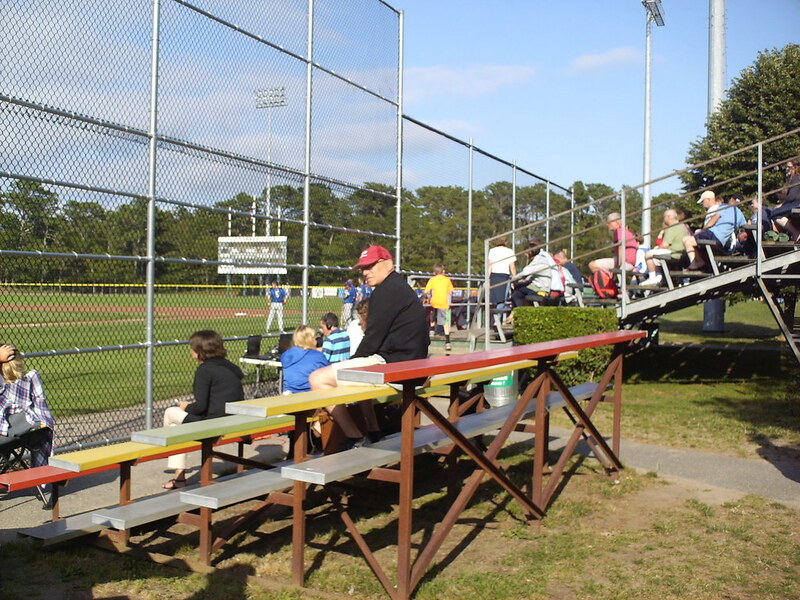 Another large seating section runs along the first base line, with smaller bleachers behind the backstop. 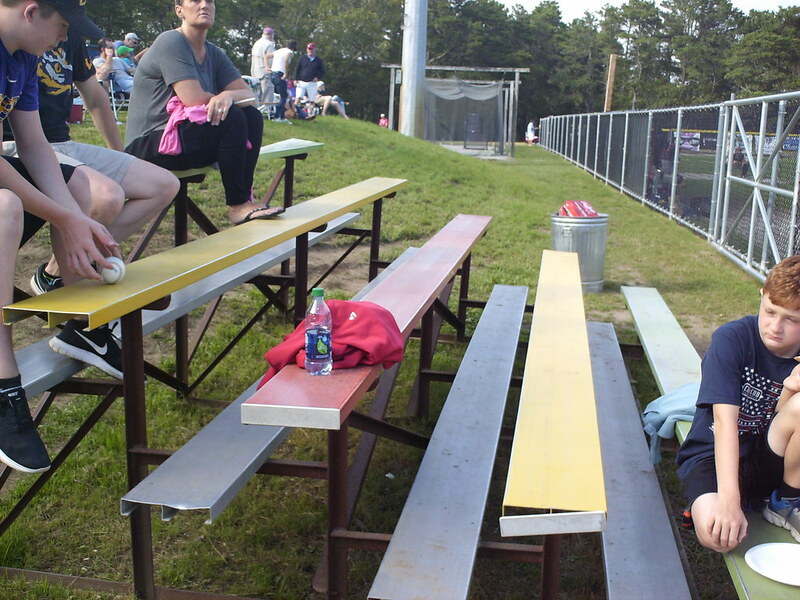 The small bleacher sections at Whitehouse Field have distinctive multicolored seating benches. 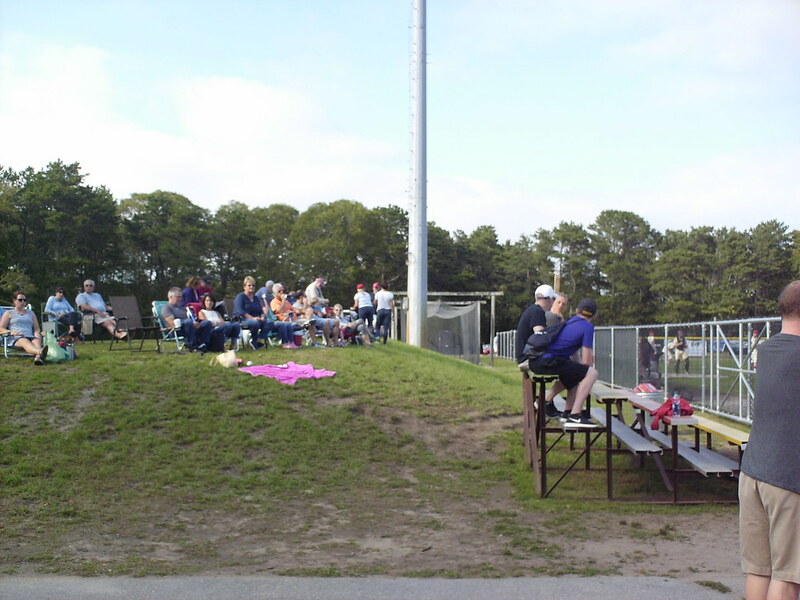 Fans who don't want to sit on the bleachers can set up their own chairs on the small hills on either side of the field. 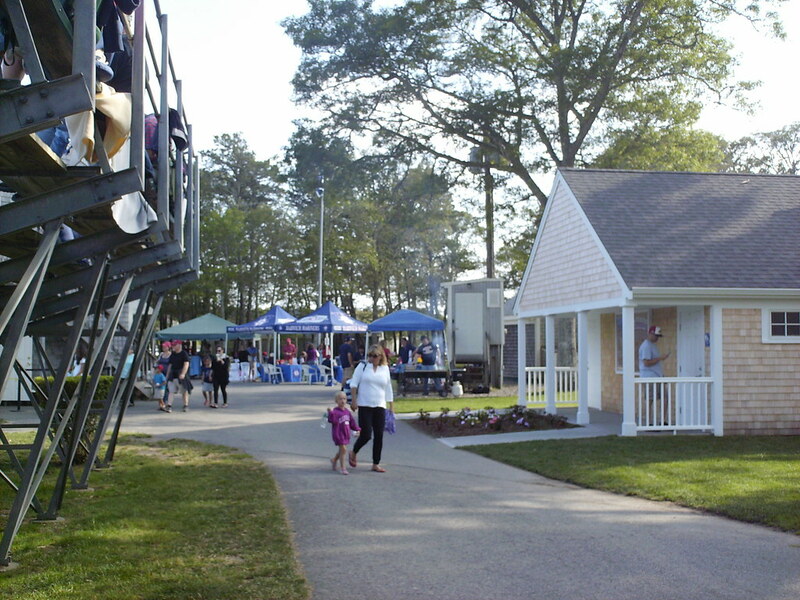 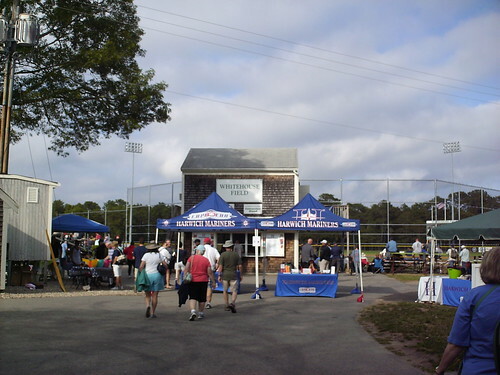 The concourse features a restroom building and several concession tents along a walkway behind the stands. 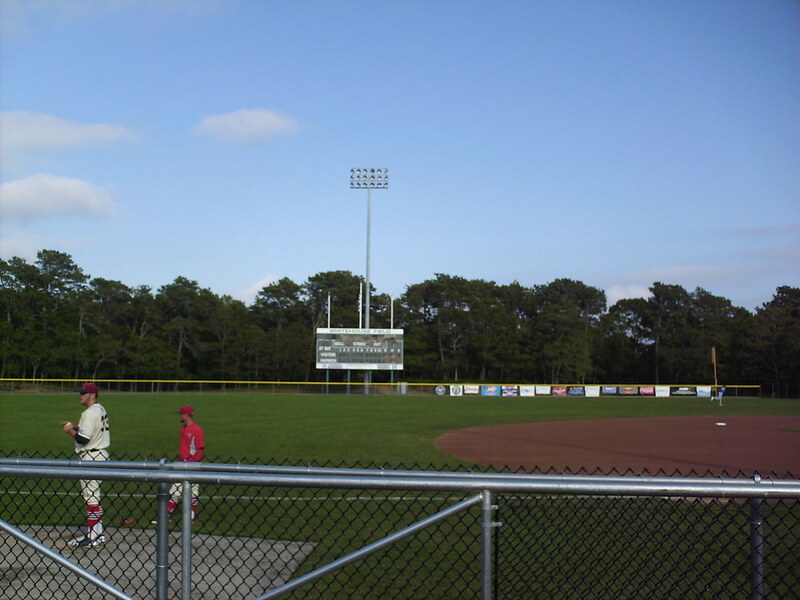 The scoreboard sits behind the right field wall and fans can also sit behind the chain link outfield fence. 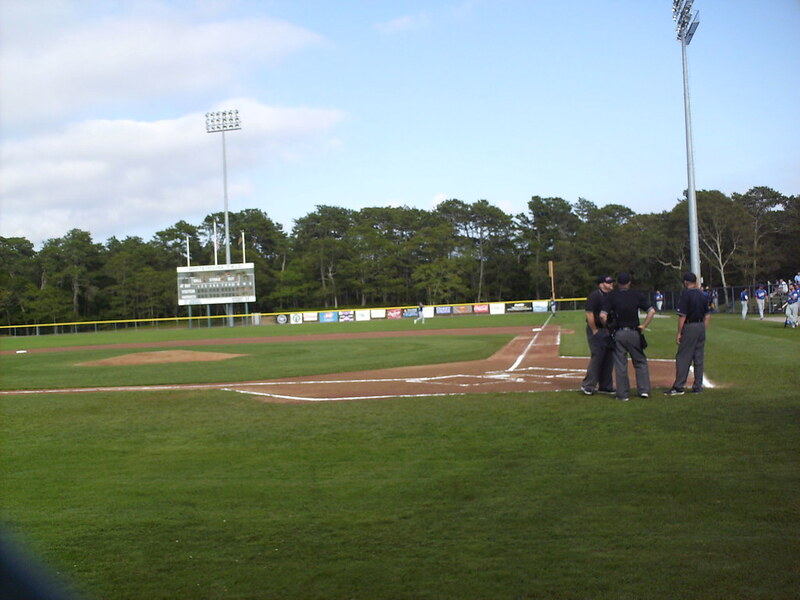 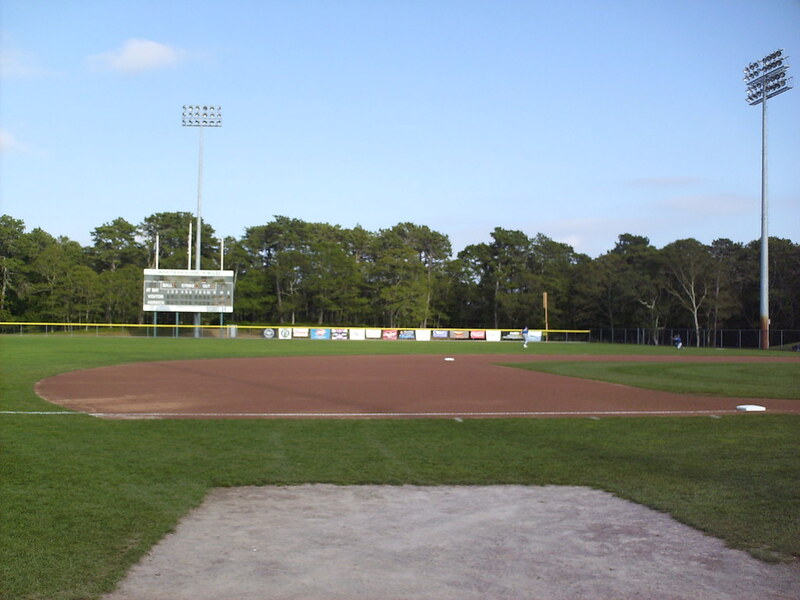 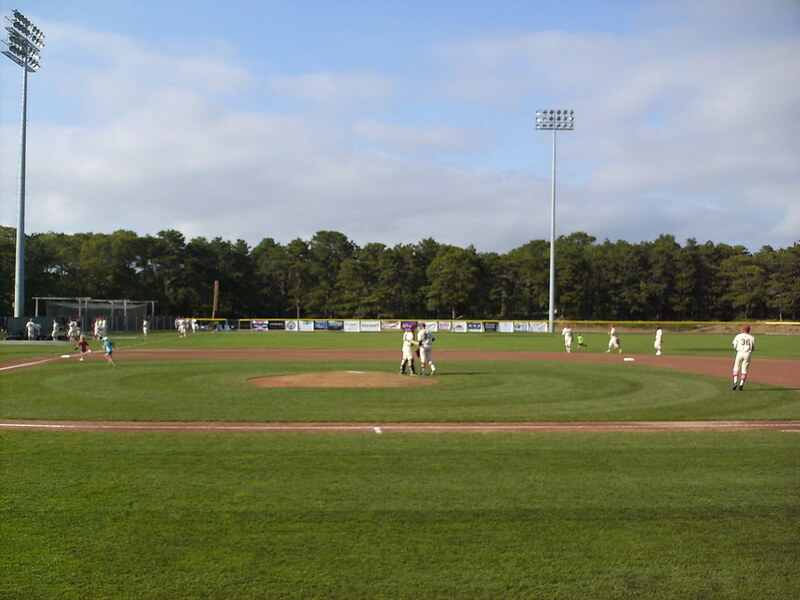 The Harwich Mariners on the field during a game at Whitehouse Field.